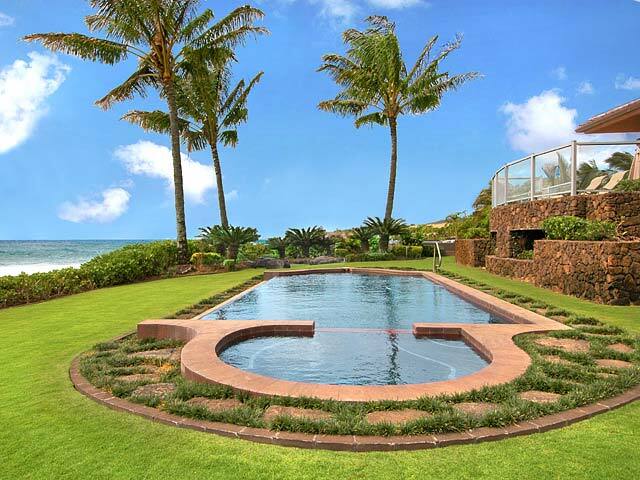 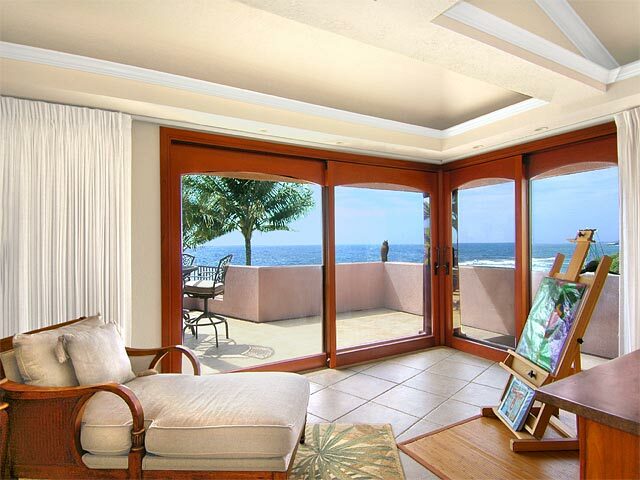 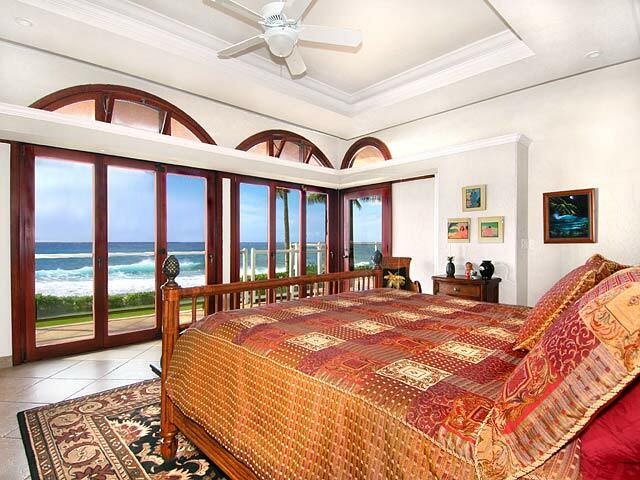 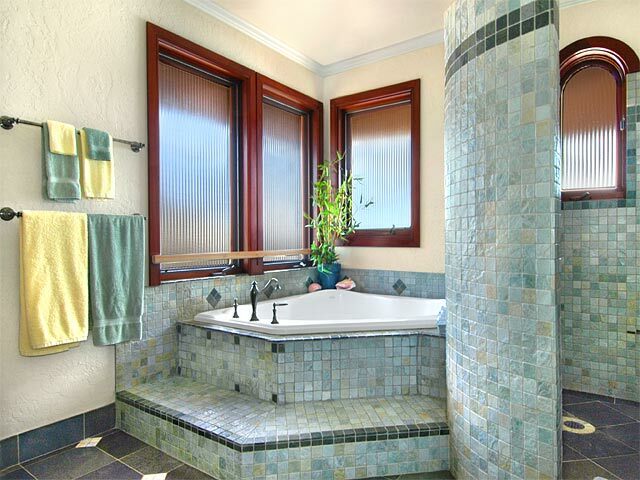 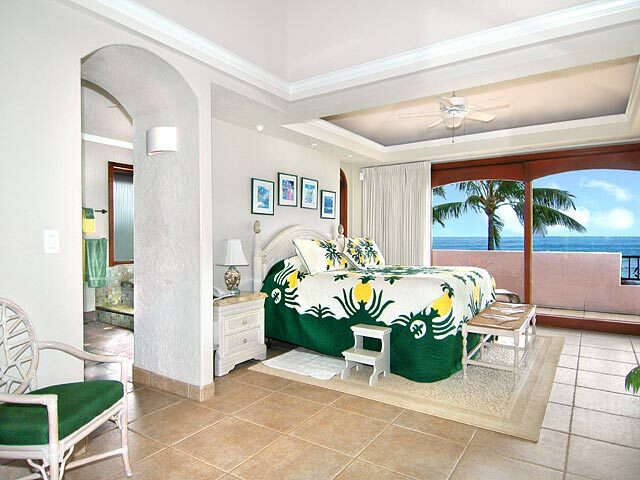 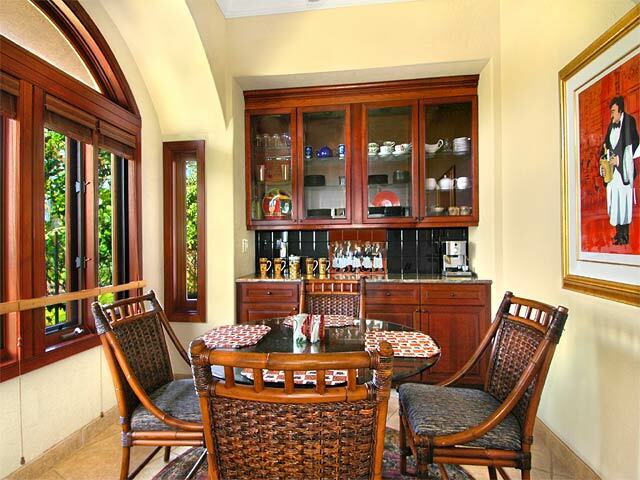 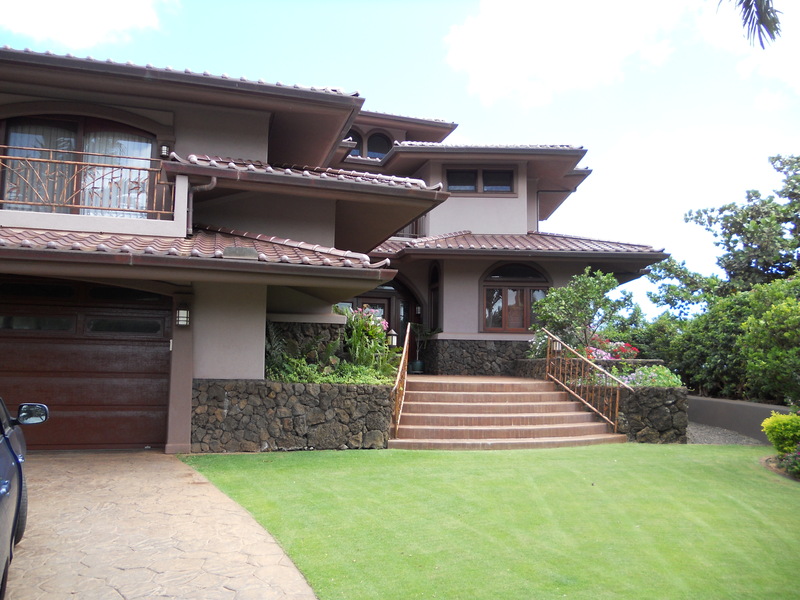 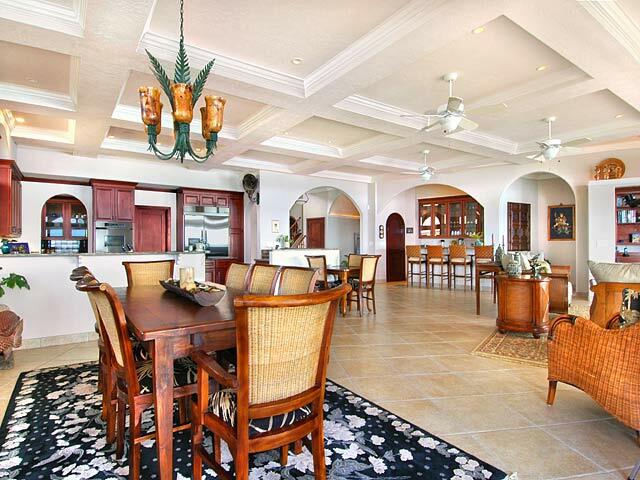 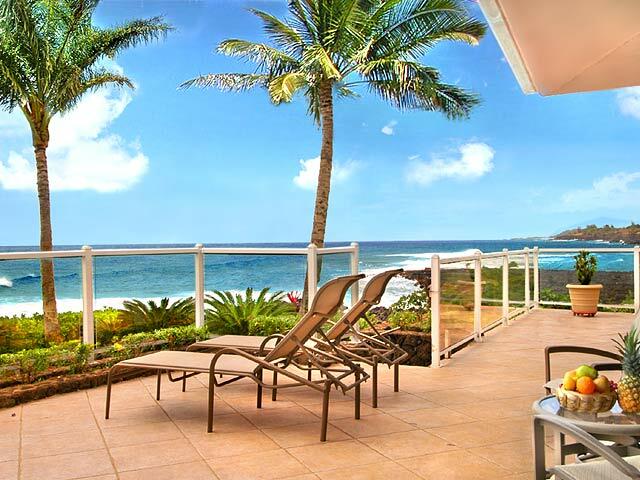 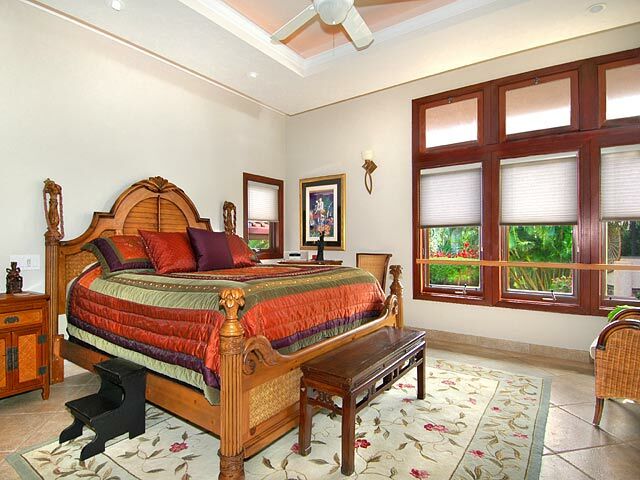 Kauai ’s stunning oceanfront property located in Poipu on the sunny south side of the island. 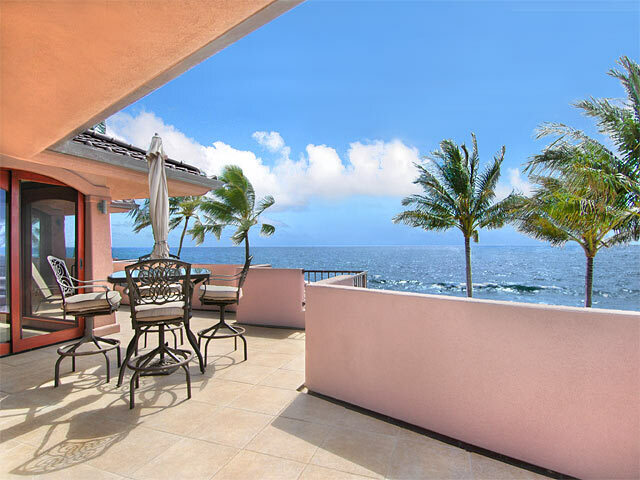 Paradise Found is a rare gem, a spot where time is forgotten and the rhythm of the ocean and warm trade wind breezes fill and nurture your soul. 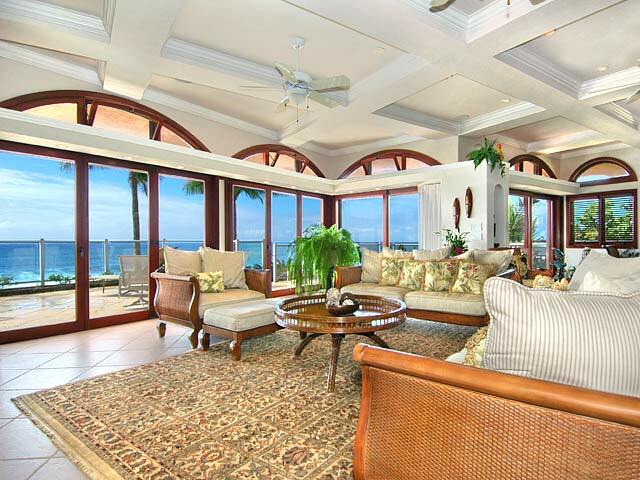 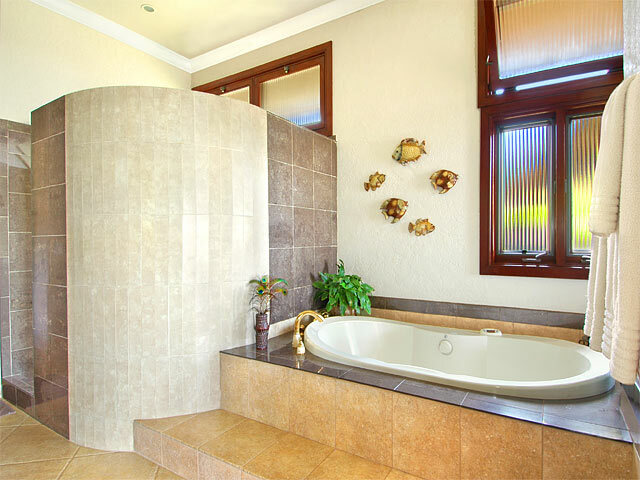 Escape from the world in this home of many large covered lanais and a infinity pool plus Jacuzzi, complete with a separate game room and a fully equipped office. 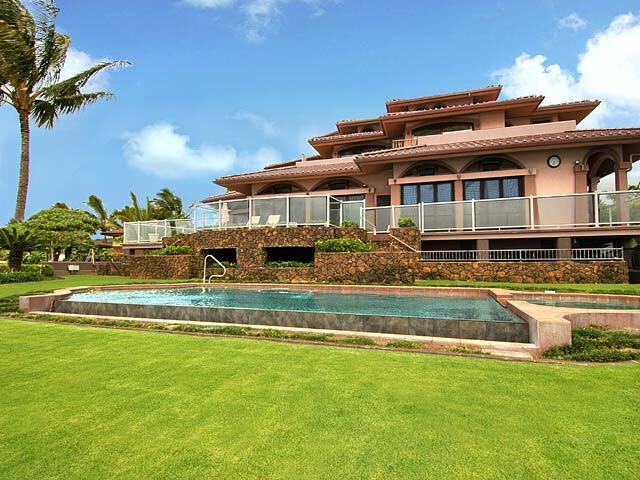 Newly constructed this 6000+ square foot home sleeps 10 and features tastefully decorated and comfortable bedrooms, 3 on the ocean and a dining room where you will be hypnotized by the sound of the surf and the colors of the water; a modern kitchen, separate wet bar and barbecue lanai on over 1/4 acre, complete with fragrant gardens, manicured lawns and unobstructed sunsets over the scenic Poipu coastline. 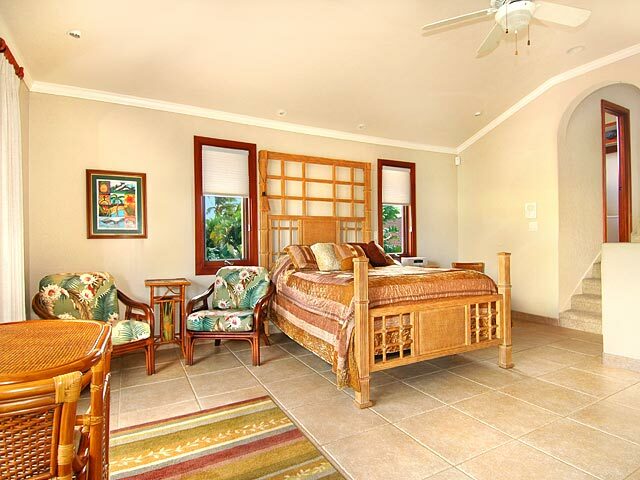 Should you want to venture out, in minutes you are at some of the island’s best snorkeling and surf spots, celebrity golf courses, award winning restaurants and a variety of shopping.